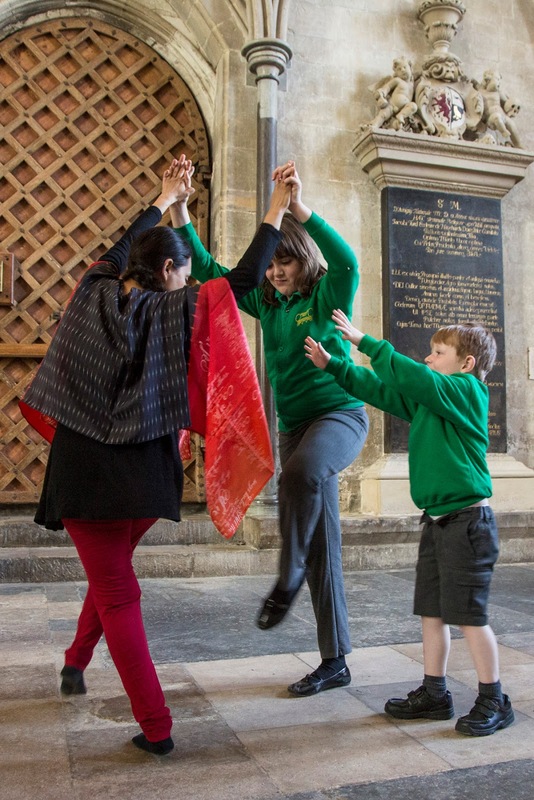 On 14 July 2015 at 10.30am a group of young people from four special schools/units in Wiltshire will come together in Salisbury Cathedral to perform Magna Songs. They will be singing and dancing in a promenade performance of a work which is described as a new 'great charter' of rights and freedom which the children have created working with the Wiltshire-based creative arts company La Folia (artistic director Howard Moody). Admission is free and no tickets are required. The aim of Magna Songs is to mark the 800th anniversary of the signing of Magna Carta and to help give voice to young people who find it difficult to express their own needs and human rights in today's society. Magna Songs is being created by La Folia with 150 students from two Salisbury schools (Exeter House School, which caters for pupils with severe and profound multiple learning disabilities, and the Resource Base at Woodford Valley Primary Academy, a unit for pupils with Autism Spectrum Disorders) and two Trowbridge schools (Larkrise Special School and Grove Primary School Hearing Impairment Unit). La Folia has been creating projects with the two Salisbury schools for the past nine years, and the work sees the students achieving creative, personal, social and physical successes that exceed even their own expectations. The students influence the choice of the cathedral as a venue for the performance as students responded strongly to the space when visiting the Cathedral which led La Folia to decide to hold the next performance there. As well as the Juy 14 performance, tenor Mark Padmore, guitarist Morgan Szymanski, La Folia String Quartet, Indian dancer Anusha Subramanyam and percussionist Bangalore Prakash will perform the songs, as well as Bach's The Art of Fugue on Saturday, 19 September at 7.30pm in the 13th century Medieval Hall, near Salisbury Cathedral.